This one will go quickly! 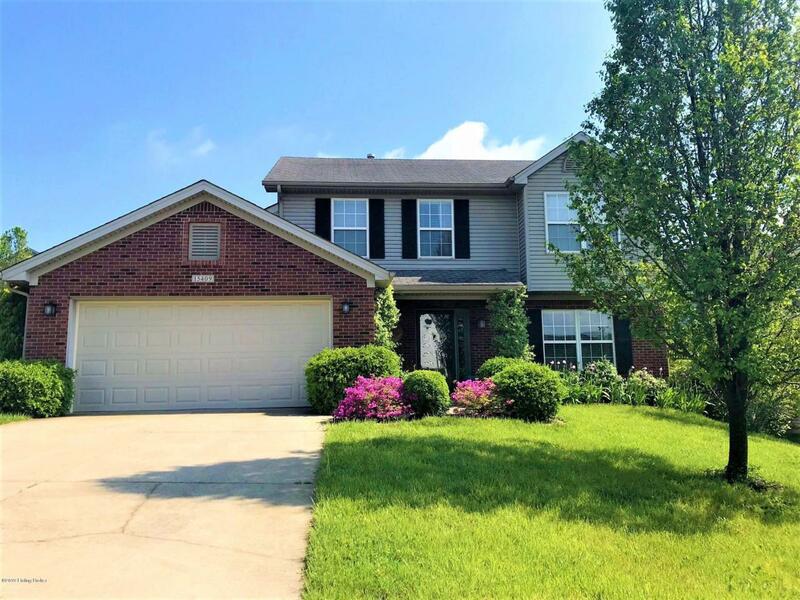 Less than half a mile from the entrance to The Parklands at Floyds Fork, this completely updated home is move-in ready. New furnace & air, new roof with upgraded shingles, new garage door, and new patio door with transferable lifetime guarantee are a few of the features. With 4 bedrooms; 2.5 baths; and large fenced-in backyard; this home is perfect fit for a growing family. Located in the east-end with a desirable school district, the first floor has open flow for entertaining and includes formal living and dining rooms with crown molding and wainscoting. The kitchen is spacious and includes a large pantry, stainless-steel Samsung refrigerator and range that were added 5 years ago, and a breakfast bar.The vaulted family room has a gas fireplace.There's a new patio door leading to a large patio and backyard. To complete the first floor, there is a half bath and laundry. Upstairs includes a large master bedroom with vaulted ceiling, attached bath with double-bowl vanity, tile floor, separate shower, garden tub and walk-in closet. Three more bedrooms and an additional full bath round out the upstairs. Don't be the first to miss out on this great opportunity! !